Every month on way2drive.co.uk, we're giving away £50 in cash and a £50 Halfords voucher to one of our facebook fans! Simply 'Like' our way2drive facebook page, and you'll be in with a chance of the prize after we randomly select a winner. No questions, no contest, NO EFFORT! 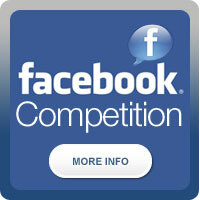 Just 'Like' our page and you're in with a chance of the cash and voucher. We run the competition every month, with a winner chosen at random on the 1st day of the new month. We'll be in touch then to arrange claiming your prize.